MOSCOW, June 27. /TASS/. 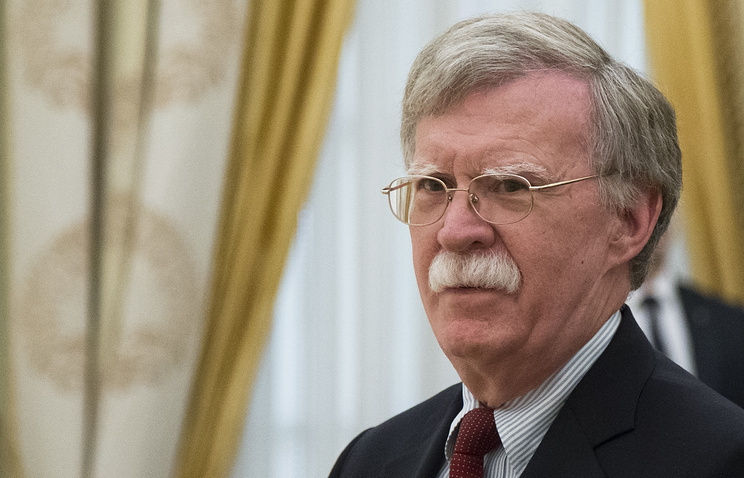 The visit by US presidential national security adviser John Bolton to Russia yielded the results, which both sides had expected, Kremlin aide Yuri Ushakov said on Wednesday. The Russian presidential aide made this statement following the results of a meeting between Russia’s President Vladimir Putin and Bolton. "We are satisfied with the exchange [of opinions] that took place. It was especially useful precisely in the context of preparing a summit meeting," Ushakov said. "This is actually what John Bolton’s visit was planned for and it yielded the results we had expected," the Kremlin aide said. Putin discussed a whole range of issues with Bolton, including main regional crises, he said. "I can outline the issues that were discussed," Ushakov said after the Putin-Bolton meeting. "These are strategic stability in the world, control of nuclear armaments and the disarmament dossier in general. This was followed by regional issues with the focus on Syria, the intra-Ukrainian crisis, North Korea and the situation resulting from the US decision to withdraw from the Joint Comprehensive Plan of Action under the Iranian nuclear program," the Kremlin aide said. Putin pointed to the need to implement the Minsk agreements. "The Ukrainian issue was brought up, and we pointed to the need to comply with the Minsk agreements and talked about our principled approach. The Americans did comment [on the issue], but that was not a priority issue at the talks," Ushakov said. "Our president told John Bolton some things that were intended exclusively for Trump. The conversation had a format of negotiations, nothing written was passed," Ushakov said after Bolton’s visit. Putin stressed that Moscow did not interfere in the elections in any way, Ushakov said. "Yes, this issue was mentioned but briefly," he said. "On our part, we stated unambiguously that Russia did not make attempts to exert influence on the 2016 election processes in the US," he said. "Russian-US relations were discussed from various angles, including preparations for a Putin-Trump summit," he said. "No, the issue of sanctions was not touched upon, but the general situation that causes concern in our bilateral relations was, and our president mentioned this in the very beginning of the conversation in the presence of media," Ushakov said.